Nobel Prize In Literature 2016: Bob Dylan, Titan Of American Music, Claims Literary Award : The Two-Way The prolific musician is the first American to win the prize for lifetime literary achievement in 23 years. While Dylan long enjoyed favor as an outside shot for the award, few expected him to win. Bob Dylan performs in Chicago in 1978. He is the first American to claim the Nobel Prize in literature since Toni Morrison won in 1993. Bob Dylan has won the 2016 Nobel Prize in literature. The prolific musician is the first Nobel winner to have forged a career primarily as a singer-songwriter. What's more, he's also the first American to have won the prize in more than two decades. Not since novelist Toni Morrison won in 1993 has an American claimed the prize. Dylan earned the prize "for having created new poetic expressions within the great American song tradition," according to the citation by the Swedish Academy, the committee that annually decides the recipient of the Nobel Prize. The academy's permanent secretary, Sara Danius, announced the news Thursday. The win comes as something of a shock. As usual, the Swedish Academy did not announce a shortlist of nominees, leaving the betting markets to their best guesses. And while Dylan has enjoyed perennial favor as an outside shot for the award, the prospect that the musician would be the one to break the Americans' long dry spell was regarded as far-fetched — not least because he made his career foremost on the stage, not the printed page. Yet few would argue Dylan has been anything but influential, both in the U.S. and beyond its borders. The prolific singer, songwriter and multi-instrumentalist has produced dozens of albums, including The Freewheelin' Bob Dylan, Highway 61 Revisited and Blood on the Tracks. 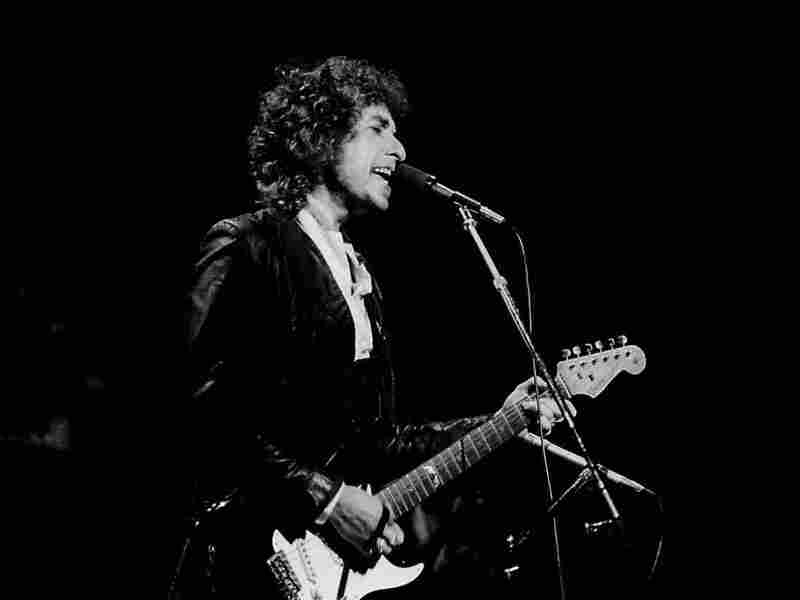 His track "Like a Rolling Stone" has taken on mythic standing in the decades since its release; many, including Dylan himself, have pointed to it as emblematic of a sea change in American music. "Tin Pan Alley is gone," Dylan proclaimed in 1985, referring the dominant conventions established by music publishers of the early 20th century. "I put an end to it. People can record their own songs now." Dylan, who was born Robert Allen Zimmerman in 1941, "has the status of an icon," the Swedish Academy wrote in a biographical note. "His influence on contemporary music is profound, and he is the object of a steady stream of secondary literature." In an interview following the announcement, Danius elaborated on the Swedish Academy's decision: "He is a great poet in the English-speaking tradition, and he is a wonderful sampler — a very original sampler," Danius explained. "For 54 years now he has been at it and reinventing himself, constantly creating a new identity." And for his work, he has been amply recognized by critical community. Dylan has won Grammys, an Academy Award, a Golden Globe and a Medal of Freedom, the highest civilian honor in the U.S. Now, to that trove of honors Dylan has added a Nobel. The Nobel Prize in literature has been awarded since 1901 to writers who have produced "the most outstanding work in an ideal direction." In that time, 109 prizes have been distributed to 113 writers. This year, the prize carries with it a purse of approximately $900,000 and, as usual, inclusion on literature's most illustrious list — the pantheon of Nobel winners. The 75-year-old artist will receive his award in Stockholm on Dec. 10.